Perched on the Mount of San Calogero, Caccamo is a town in the province of Palermo, probably founded by the Phoenicians. Subsequently it was conquered by the Romans, the Byzanthines, the Arabs and the Normans and during this last period it framed the revolt of the Sicilian barons against the Emperor William I The Bad. During the Aragonese rule, it passed to the Spanish feudal lords; in the 14th century it was assimilated into the dominion of the Chiaramontes; then, it passed into the hands of various dynasties, namely the Prades-Cabrera, Amato and, finally, De Spuches families. 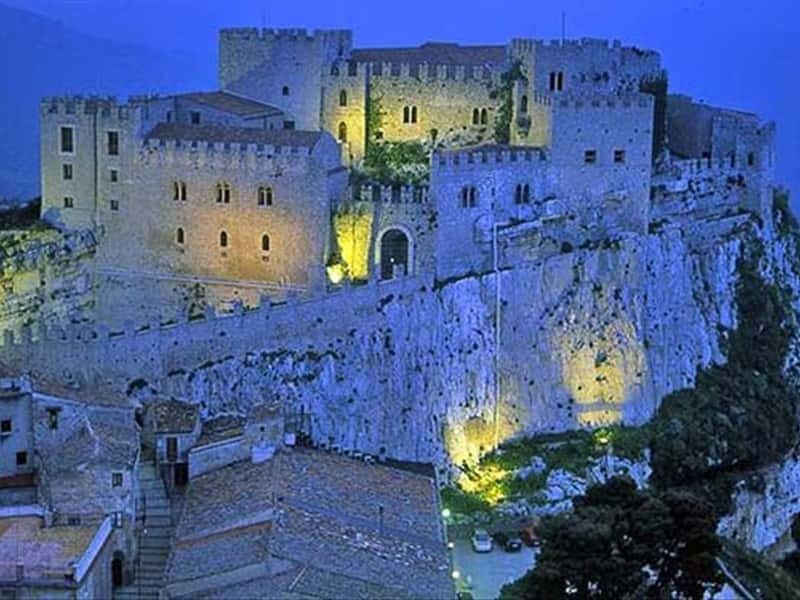 The Castle is no doubt the symbol of the town and it is one of the bettere kept in Italy, built on a rocky cliff starting from the XI century on several levels. In the XVII century it was converted into a noble residence. The Cathedral of San Giorgio, clinged to the rocky spur that rises to the castle, dates back to the Norman period and was refurbished during the XV and the XVI century. The XVII century Palazzo di Monte di Pietà, the Oratorio del Santissimo Sacramento and the Church of the Anime del Purgatorio overlook the main square too. This town web page has been visited 23,520 times.